The room was clean and the bed was extremely comfortable. Was there for a week and appreciated having the large fridge. Fairly quiet and although very basic, it was nice to have breakfast included. Overall, very pleasant...will stay there again. The Honeycomb was a great place to stay. The history of the building is interesting and the owner is really friendly and helpful. The breakfasts were amazing! Where to find Minnedosa hotels near an airport? 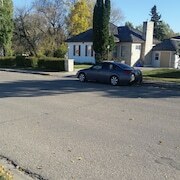 Where can I find hotels in Minnedosa that are near tourist attractions? The Expedia hotel booking page has one accommodation option within 0.1 kilometres (0.06 miles) of Minnedosa. 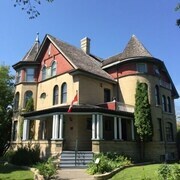 About 200 kilometres (123 miles) away from Minnedosa is Winnipeg, which offers a number of places to stay, such as the Inn At The Forks and The Fairmont Winnipeg. 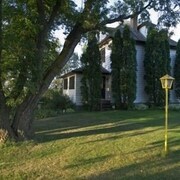 From the main part of Minnedosa, it is 13 kilometres (8 miles) to the Fairmount Bed & Breakfast. Brandon is 45 kilometres (27 miles) to the south of Minnedosa and is home to the Brandon University and Corral Centre. The Best Western Plus Brandon Inn and Royal Oak Inn And Suites are just some of the Expedia-recommended hotel alternatives in Brandon. 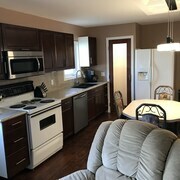 Or, you could consider staying in Neepawa, 25 kilometres (17 miles) to the east of Minnedosa, where you can pick from the Westway Inn Motel and Neepawa motel. The Riverbend Park and Assiniboine Community College Neepawa Training Centre are just some of the more popular sites to see when you're in Neepawa. Before you head home from Manitoba, ensure you experience some local sport. Visit Sportsplex to the south of Minnedosa. Book a hotel nearby to the action at the Victoria Inn Hotel & Convention Centre Brandon or the Comfort Inn Brandon. Winnipeg International Airport is a nearby airport, and is located 190 kilometres (118 miles) from Minnedosa. 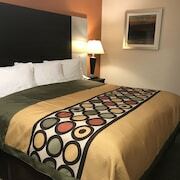 Conveniently located hotels are Four Points by Sheraton Winnipeg International Airport and Clarion Hotel & Suites. Are there hotels in other cities near Minnedosa? 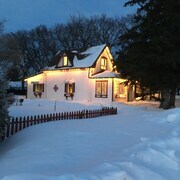 What other types of accommodations are available in Minnedosa? Explore Minnedosa with Expedia.ca’s Travel Guides to find the best flights, cars, holiday packages and more!